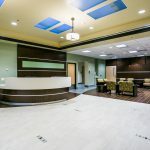 Howell successfully completed the renovation of approximately 16,600 square-feet of the existing 1st floor at The Medical Center of Aurora North (TMCA). 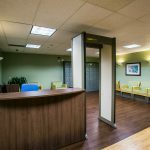 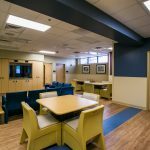 This inpatient renovation included 10 semi-private patient rooms, a seclusion room, exam/therapy/treatment rooms, noise/quiet activity rooms, comfort rooms, consult rooms, nurse stations, offices, lobby entrance, admissions department, human resource/work room and staff lounge. 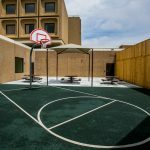 The project scope also added an exterior activity area. 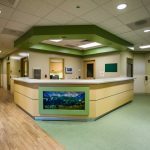 The entire space was built to psychiatric design standards to prevent patients from injury and prevent finishes from damage.